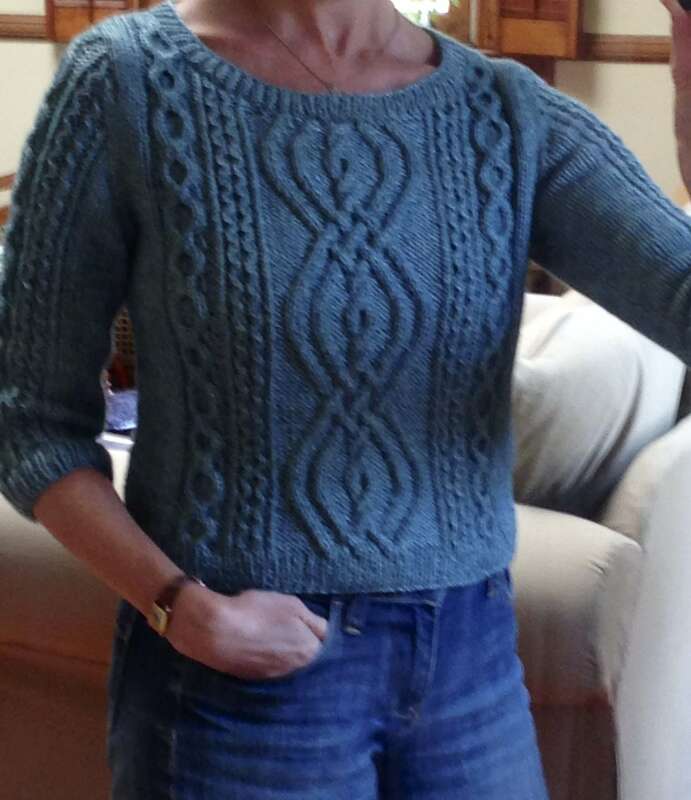 I’m a knitter, and I’m a knitting teacher, and I also design sweaters. I think more like a knitter than a great artist, so mostly my designs are wearable sweaters that I would want to knit for myself. In design I do use a lot of fancy schmancy computer tools like Excel for pattern grading, charting software, and Illustrator for schematics . . . but since I didn’t go to fashion school, I approach my designs with several other highly professional tools (like twist ties, old t-shirts, scissors, paper, and scotch tape). When I design a new cable sweater, I like to be able to see it by creating it somehow in 3D before charting it. Sometimes you use what you have on hand. I was in a hotel during a teaching trip when I was working on Serena’s Song design for Cascade’s Vest Bets. All I had on hand was a few twist ties from the snacks I packed, but they were handy. So the moral of the story in my design world . . . use any and all tools on hand (even the twist tie from a snack bag) to help you see your designs become a reality. Click HERE for a $20 off link. I love your blog post. Thank you for being honest and down to earth. I wish more designers were like you. Ok….I can understand taking string and pins and a board and making the cable that way…….but what are the standard symbols for drawing a chart….????……. I see your posting as Step 1….string and pins…. Step 3…knit it into your project that you are making following your own chart…..thus the creation of your own knitted design……. It’s step 2 that I would like to know how to do…..any reference sheets for chart symbols….?? 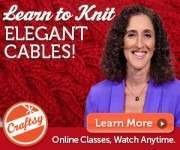 ?…..beginner knitter….can’t afford the class….any advice you can share would be helpful……. Every publication uses slightly different symbols. In the class I break down all the symbols and abbreviations so you can see what they have in common. Start by looking at published cable patterns and compare the words to the symbols. You can also find some chart symbols online at Craft Yarn Council’s website.